Where Do Eye Bags Come From, And How Do I Get Rid Of Them? As an oculoplastic surgeon, I’m asked about eye bags multiple times a day. What are they, really? Well, there are two answers. The medical reason is a matter of anatomy and physiology, and this speaks to the reason they occur. There is also the meaning others ascribe, which relates to one’s appearance and one’s overall state of wellness. Why & When Do Eye Bags Happen? Medically speaking, we all have fat around our eye balls that acts as a cushion and a glide so our eyes can smoothly move in the direction of our gaze and so the eyes don’t rattle around in the bony socket they reside in. As we age, the front-most eye fat can bulge forward from under our eyes. This creates a bag, or a pouch. Unfortunately this tends to happen particularly in our 40s, but as a genetic trait it can also be seen in younger people. This bulging is often accentuated by the loss of cheek fat that occurs with age, which creates a valley under the fat bulge, unfortunately termed the “tear trough” (shouldn’t troughs only be used to describe vessels for animal feed?). The vast majority of eye bags are unrelated to medical conditions and are simply a normal trait. They can, however, be related to thyroid eye disease, long-term smoking, and other medical conditions that cause facial swelling, swelling around the eyes, or fluid retention. Quite commonly, they appear asymmetrically with one eye looking more “baggy” than the other. Is There A Link To Fatigue? If the eyes (and eyebrows) are the most beautiful and expressive parts of our face, eye bags act conversely. When we have face-to-face interactions with others, we typically spend most of our time looking at the eyes for cues and we are keenly able to pick up on subtleties. Under-eye bags are perceived as fatigue, and this is often a false message. The association between eye bags and lack of sleep is in many ways a myth. If there is any truth to the sleep/eye bag link, our horizontal sleep position can cause swelling around the face which can temporarily mask cheek hollowing—an effect that will dissipate throughout our upright day. Are We Seeing More Eye Bags Thanks To Social Media? To add insult to injury, the prevalence of smartphone cameras can make those of us with eye bags more aware of their existence, by way of digitally-shared mementos that have magically landed in our inboxes or social media feeds. For some, these bags may be a welcome reminder of our well-earned life stage or a family hand-me-down from past generations. But most of the people I encounter in my line of work want an eye bag eraser. In photos, eye bags can be tamed by controlling the direction of light traveling to your face. Overhead lighting will always accentuate shadows and under-eye bags. Facing the light will wash out the shadows and make your eyes look brighter. Also, allowing your eyes to slightly narrow as you smile can reduce the bags because the muscle that closes the eyes acts as a sphincter that flattens the fat pouches. NYC photographer Peter Hurley has termed this expression ‘the squinch’, and it makes you look warmer and more genuine. Under-eye concealers and BB creams also give the illusion of a flatter under-eye contour. A more definitive correction of eye bags requires a medical treatment performed by a specialist. The less-invasive option is an under-eye filler treatment. A soft, biocompatible gel is injected under the skin with a fine tube called a cannula. This reduces the shadowing under the bag by filling in the hollow area and it lasts for about a year. Alternatively, an eye bag surgery (lower blepharoplasty) will remove or reposition the excess fat under the eyes, providing a long-term fix. 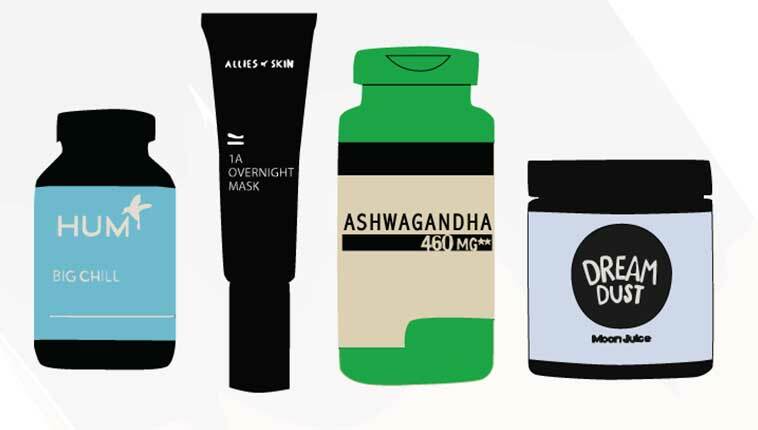 Looking for the best eye creams to combat fine lines? Or expert tips on how to prevent crow’s feet? Only the best cosmetic doctors, skincare gurus, nutritionists, fitness and wellness professionals make it into our book. Read client reviews, book appointments, and get expert advice. Dr. Brett Kotlus is Board Certified in Cosmetic Surgery and fellowship-trained and Certified in Oculofacial Plastic Surgery. He practices in New York City and Westchester. Ask Charlotte: Botox, Dysport, Or Xeomin? Which Is Best, Or Are They All The Same? Is There An Eye Product That Actually Gets Rid Of Eye Bags?